The 46th edition of the Good Beer Guide, published by the Campaign for Real Ale (CAMRA) features two Doncaster Breweries. 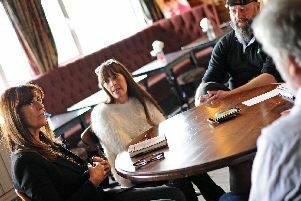 Don Valley Brewery, Mexborough and Old Vault Brewery, Thorne, are among 23 new breweries across the Yorkshire region and 95 new pub entries. Chief communications officer at CAMRA, Tom Stainer, said: “It’s fantastic to see the number of new pub entries in the Good Beer Guide 2019 and the continued growth in local brewing. As well as the print edition, the Good Beer Guide app is available to smartphone users. Available on both the App Store and Google Play, users can search for local pubs based on their individual preferences and connect with friends, or subscribe to access enhanced search tools.